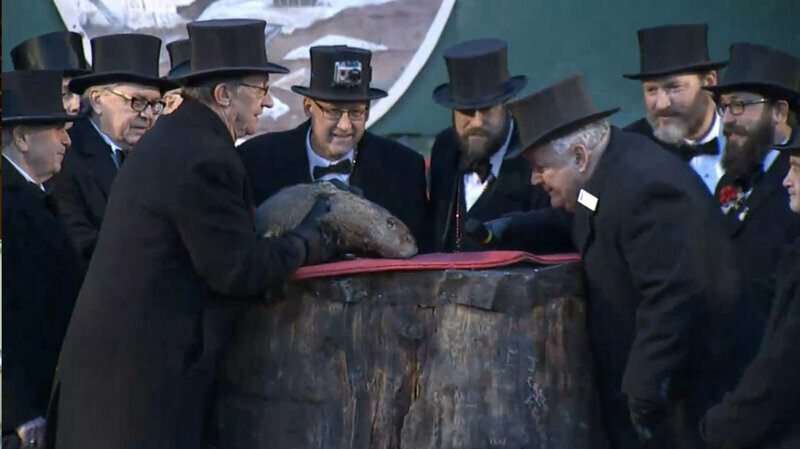 NPR reports on Punxsutawney Phil’s prediction of an early spring. What’s my favorite holiday? After Thanksgiving, it’s . . . Groundhog Day. And if, like me, you’re a fan of redemption movies—and of Bill Murray—then today you watched Groundhog Day . . . again . . . and again. . . .
Click to relive Bill Murray’s day . . . over . . . and over . . . and over. . . .
My favorite part of this perennial movie is near the end, when Phil—Connors, that is—finally gets it. He starts living—and giving—in the ever-present moment. He hasn’t yet escaped the never-explained time warp he has somehow found himself in; but in time (whatever that means), he accepts his fate and eventually lives a perfect day that only close to infinite re-dos could have made possible as he learns life’s most important lesson. And yet . . .
What is a “perfect” day? The message of the film is that this Scrooge-like guy learns about becoming his best self through genuine interest in and compassion for others—all with a comic and romantic twist (not unlike Bill’s other redemption movie, Scrooged). * His reward for a lesson well learned and a life well lived on February 2nd? But on the other side of the screen, we don’t get infinite re-dos. We ordinary mortals need to learn as we go through linear time, not when we’re stuck in an endless loop of it. So how do we learn to live a “perfect” day on February 3rd after learning the lessons of our own February 2nd? My personal February 2nd, so to speak, was actually on Valentine’s Day 2014. 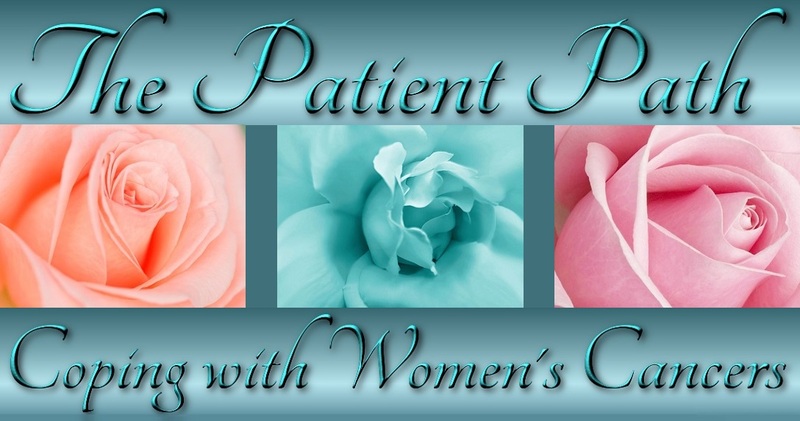 I underwent my last vaginal radiation treatment (brachytherapy) that day following a total hysterectomy for uterine cancer on December 13, 2013. And I was still in the “glow” of having survived a brush with mortality and having learned my lesson that all moments of life are precious and, in their own way, eternal. Or are they? This is a topic for another day, but perhaps all moments of time exist somewhere, in some treasure vault that we can revisit . . . and revisit . . . and revisit—if we learn the combination or find the key. So if the cosmos is filled with all the energy that has ever existed, why not make our contribution positive? In an awesome and happy coincidence, when I wrote an earlier version of this post last year, a quick search for those lyrics took me to the February 3, 2015 page on the Huffington Post blog, “The Third Metric,” where that very song happened to be featured that day: “Daily Meditation: Get Together.” Such coincidences seem to point to a cosmic connection, one that I don’t pretend to understand. Yet these occurrences whisper to me that perhaps we do hold a key that unlocks the secrets to at least our private universe. In the afterglow of that “Whew! Narrow escape!” feeling post-op and post-radiation, I am still figuring out how to incorporate the lessons of my own February 2nd into my February 3rd. Learning how to do this will require me to be awake, aware, and appreciative during all the coming days until I run out of them. And it’s extremely hard. Maybe tomorrow, on February 3rd, it will be enough for me to realize that aftermaths and interims are just as important as great events. Or maybe they are the great events. Life is still happening in an amazing way, even when we can’t quite feel the miracle of it after an emergency or a major event has melted into the rest of our experience. Alone in my personal space, I will celebrate February 3rd, knowing that the ice crystals on the trees will become leaf buds . . . in time. I hope you will never be stuck on February 2nd and will have quietly wonderful February 3rds to look forward to for many years to come. *And speaking of redemption stories . . . I love this post. Excellent. Very thoughtful, introspective. I thought you might liken Groundhog Day – snow in driveway, husband away, having to deal, day after day. But you’ve written on a higher level. Wo!!! That was really great!! So how is your February 3rd going? Hope it is going good. It is really nasty out there!! Love you and thanks for that interesting February 2nd!!! Doing OK. Rainy and gray today, but doing OK–it’s not snow!